First of all thanks to my helper auntie Donna who is from the beautiful country of the Philippines for sharing this recipe and teaching me step by step how to make it. It’s very simple to follow and kids love it. Actually we all love it. It finishes in no time. So, let’s go straight to the recipe. 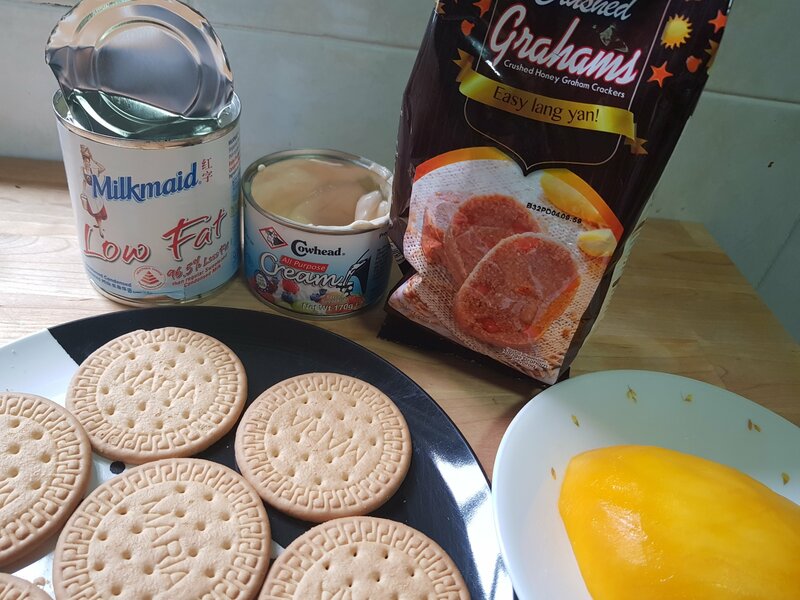 Actually Graham crackers taste the best and you can get them in Lucky Plaza, Orchard Road or neighborhood Filipino shops. We didn’t have it at home. Marie biscuits was our alternative and it tasted delish too. Once again you can buy it from Lucky Plaza or any other shop that sells Filipino stuff. Milkmaid or any other sweetened condensed milk. I used Low Fat version because I already have high fat. Lol! Of course, Fresh Mango. 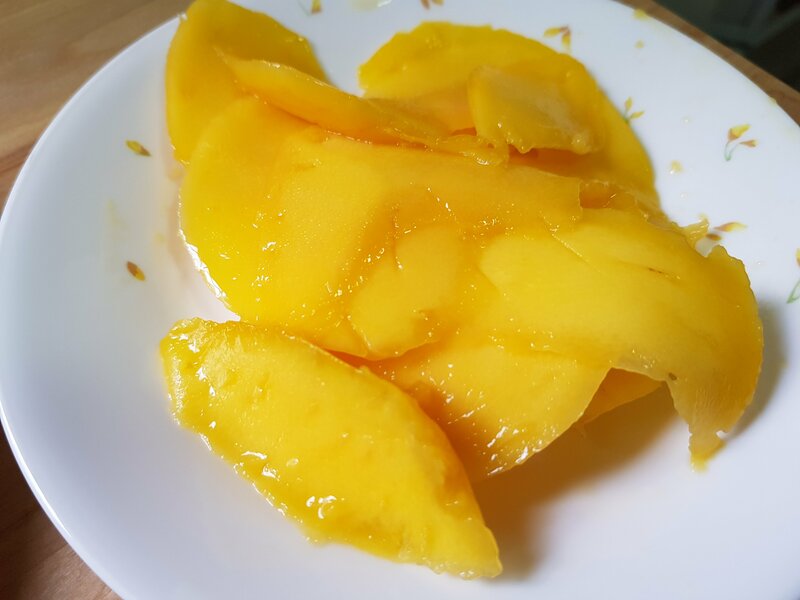 The name of the dessert itself suggests that you must have mango. I asked Donna whether can we add any fruits but she said that authentic preparation is only mango-based. Mix All purpose cream and sweetened condensed milk and whip it very well to a smooth mixture. 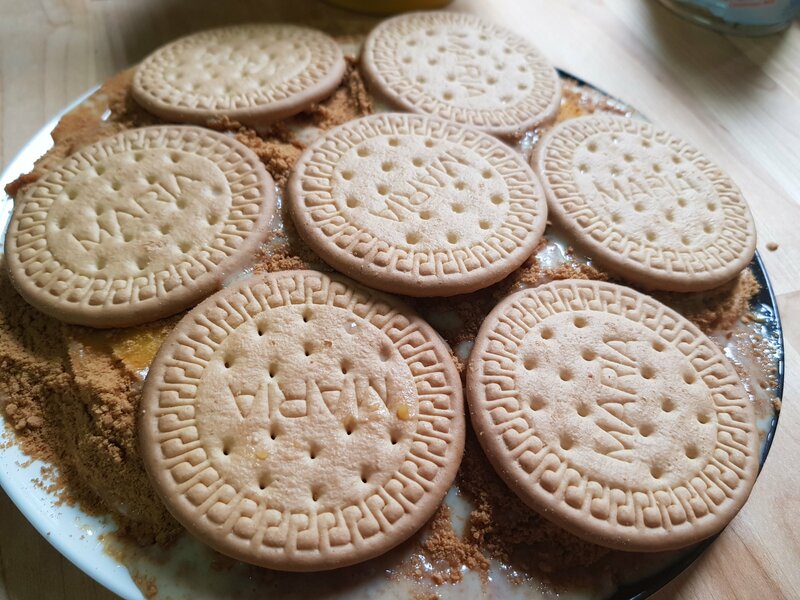 Arrange Marie Biscuits in a dish. Pour Graham powder on them. 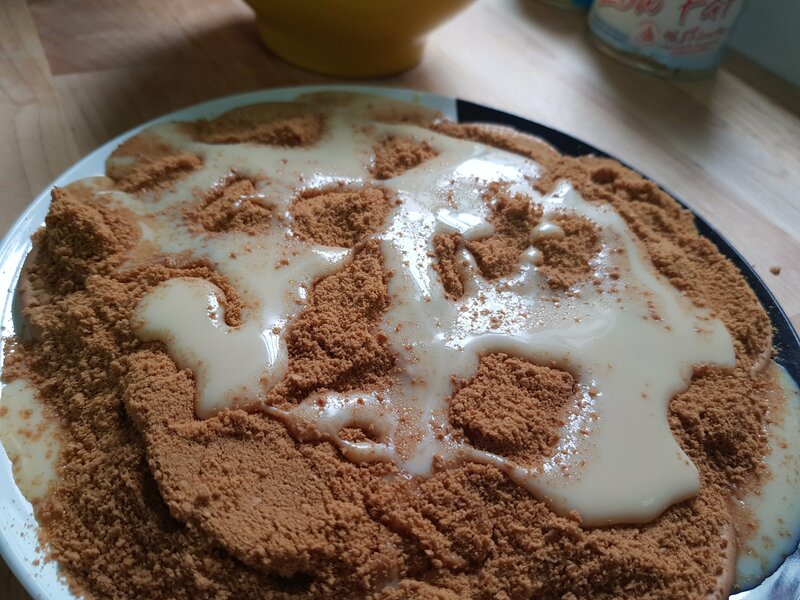 Pour the mixture of All purpose cream and sweetened condensed milk on it. Again add Graham powder followed by pouring the mixture of All purpose cream and sweetened condensed milk on the float. You can repeat above 3 steps more number of times if you want more layers in the float. 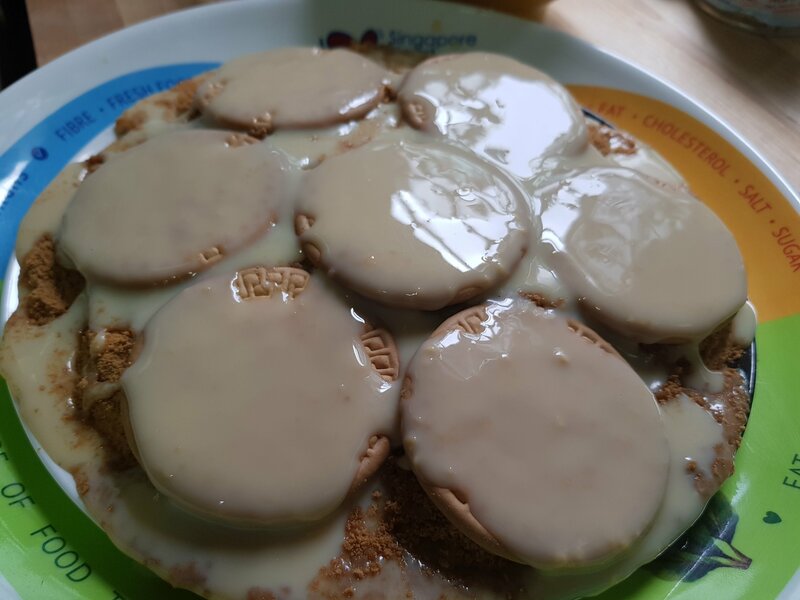 Arrange Marie biscuits on top. Pour the mixture of All purpose cream and sweetened condensed milk on the whole setup. 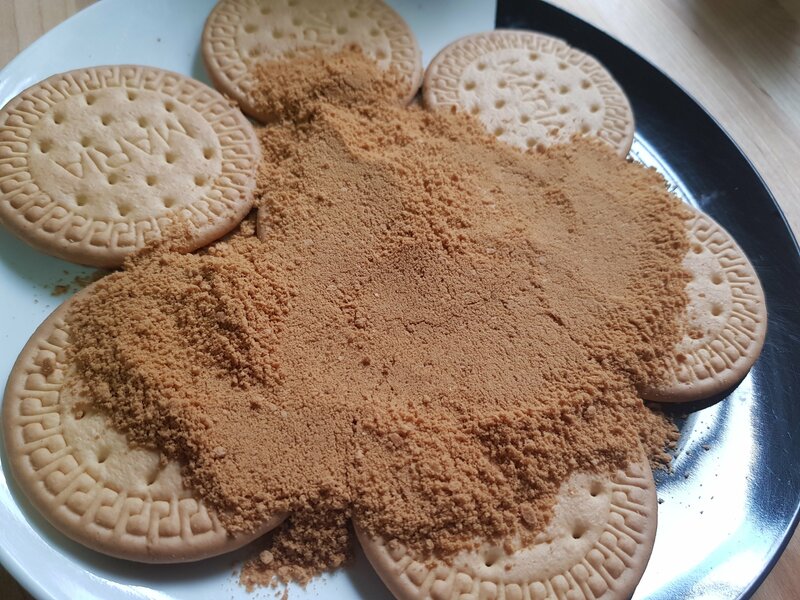 Complete the float by covering the float neatly with Graham powder. Ta da!!! 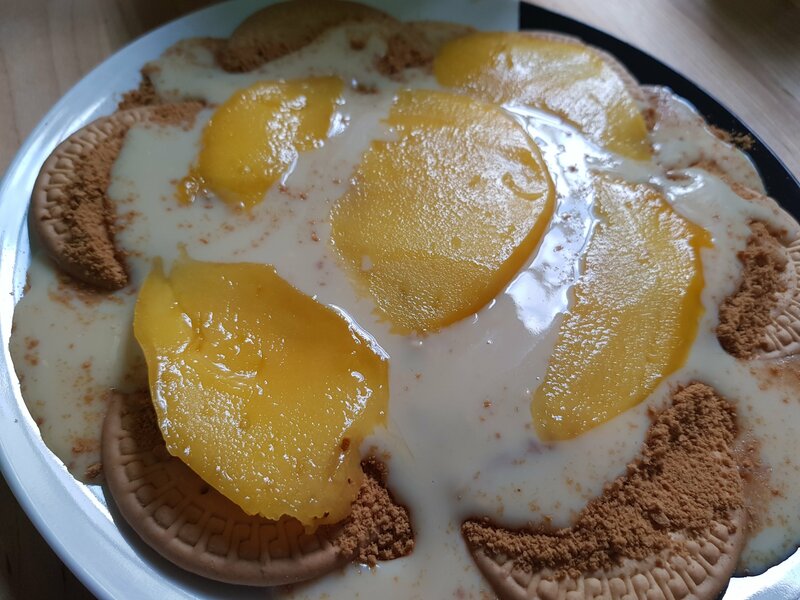 Your no-bake, no-headache Mango Float is ready…We sprinkled some grated dark chocolate on it for added indulgence…Sorry, just one piece remained somehow and thank god I could click the picture! 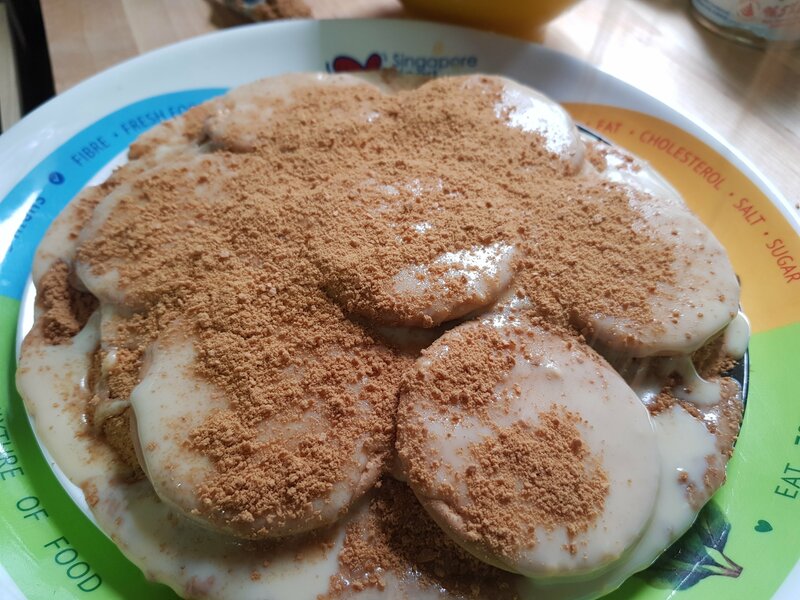 Mommies, we always keep scratching our heads when it comes to cooking kids’ favorite food…Try this Mango Float and am sure this yummy item will find a permanent place on your recipe list. woo… will it be very sweet as I see a lot condensed milk were used. I wanna try doing this. So easy to do it!! I would really like to do it at home, looks so yummy and healthy snack too! Wow! that’s is quite easy to make and look delicious too. I am going to try it too. So easy! 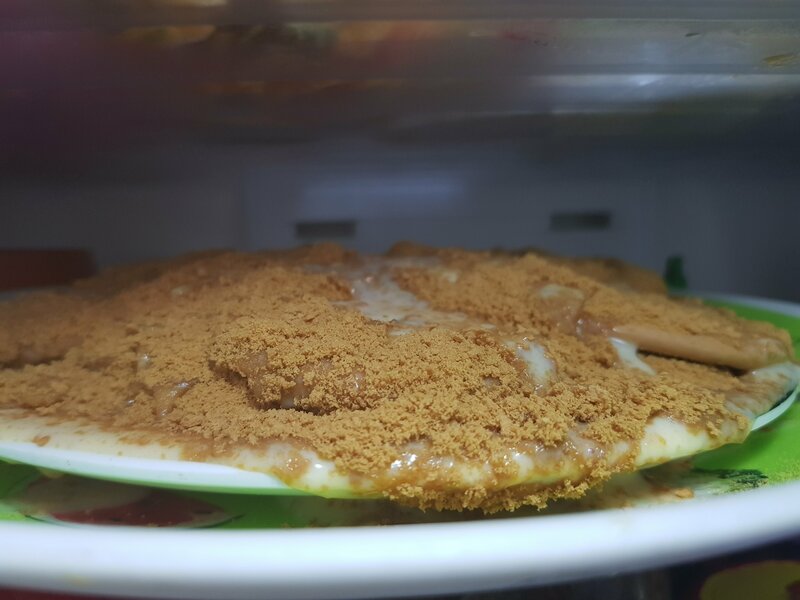 No need to bake only refrigerate. Look like Kek Batik in here, using Milo (coco powder drink) and Marrie Biscuits but need to cook the condensed milk n coco powder. The rest step are all same instead of adding mangos! So delicious! 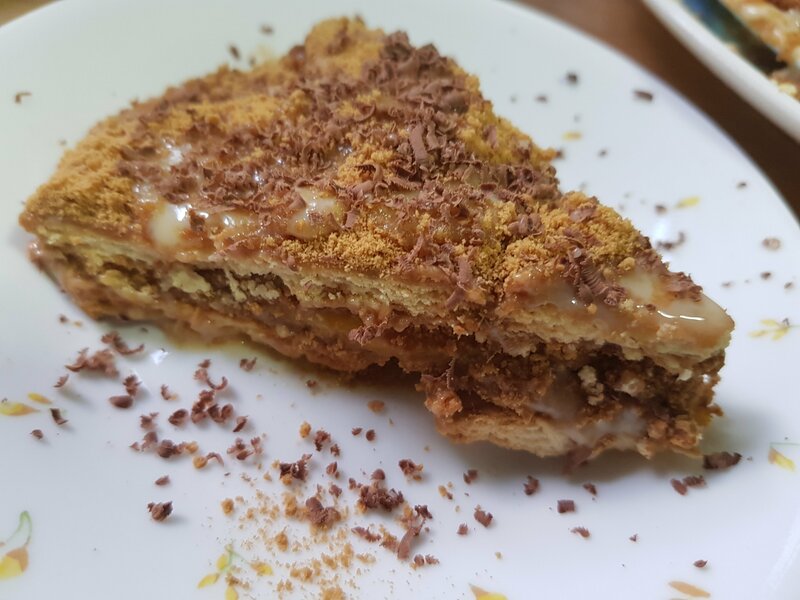 The recipe really suit to sweet tooth. It look fast to prepare this. Looks good and yummy! Wanna eat it.. Great recipe..
Looks really delicious! Wanna try it out too! Wow, did it taste very sweet? I can’t imagine it. Looks awesome, though. I must make it myself.